The International Dysphagia Diet Standardization Initiative (IDDSI.org) Framework, The IDDSI Flow Test, and Skill-Based Training For Rehabilitating the Swallow. Dr. Catriona Steele is an incredible, internationally known, ASHA Fellow who is currently a researcher at the Toronto Rehab Institute. 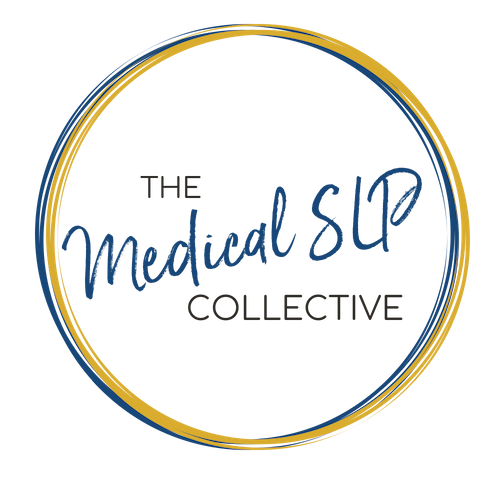 She had 10 years of experience as a medical SLP before pursuing her PhD, and she is still very much involved at the clinical level in our field. Dr. Steele has over 80 peer-reviewed publications, and has presented as an invited lecturer in Europe, Japan, China, Austrialia, and she actually just returned from the World Dysphagia Summit and European Society for Swallowing Disorders, so she does give us some scoop from that! Dr, Steele is one of the main key players in the International Dysphagia Diet Standardized Initiative also known as IDDSI. She also has received international recognition for her work on tongue functioning in the swallow. Dr. Steele has a 2-part series on Medbridge right now about tongue pressure resistance training, so feel free to check that out, and also one of my most favorite series on MedBridge is her 5-part series about best practices in VFSS, so if you’re a Medbridge member check that out, if not, you can purchase that annual membership for unlimited CEUs for only 95$ with promo code SYP, so head over to medbridgeeducation.com and purchase that SLP education plan with promo code SYP to watch Dr.Steele’s awesome CEU videos on lingual resistance and videofluoroscopy. In this episode, we discuss the importance of IDDSI and standardizations amongst thickened liquids and texture modifications, we discuss skill based training, and the importance of rehabbing the swallow, as well as we get to hear about some of Dr. Steele’s mentors and who’s work has really inspired her. Download Ep. 010 Show Notes!